Austin Mahone’s ascent to stardom was a rapid one. In the four years since his first YouTube video, he clinched a major label deal, immersed himself in the fashion industry and embarked on his first headlining tour. Now, he’s stepped outside the realm of R&B and dipped his toes in a range of genres. 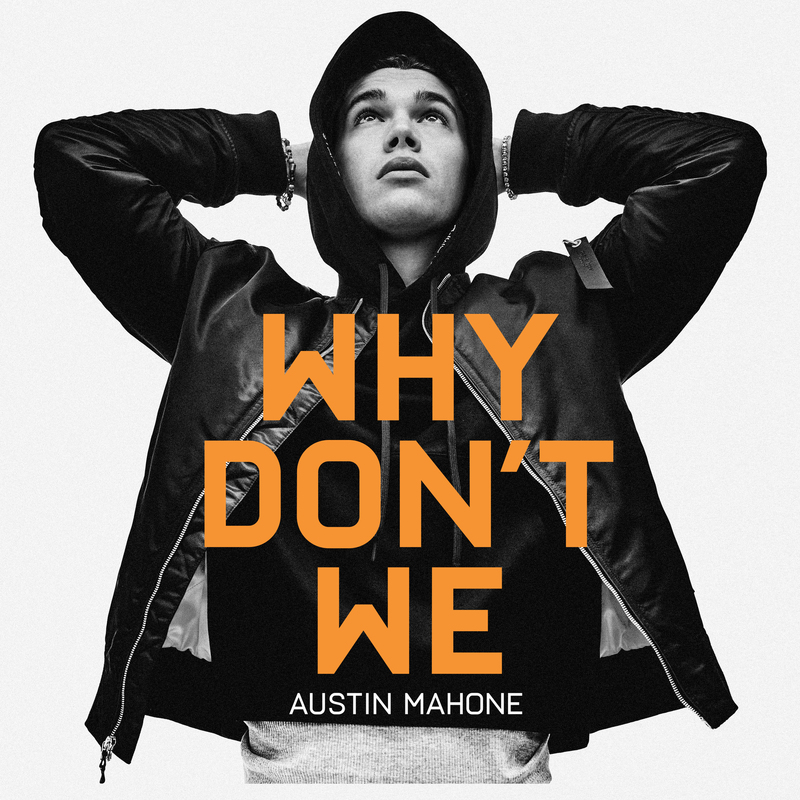 His latest single ‘Why Don’t We’, features disco-inspired sounds and dance music beats. In the music video that followed, he’s boasting slick dance moves. With his forthcoming album on the cusp of release, we spoke to him about his musical influences and his songwriting process. Welcome to Singapore! How has the trip been, so far? Everything's been great, so far. This is my first trip here and it's my first full day here, as well. I went to the Marina Bay Sands; to the boat in the sky and had a great view of the city. It was a cool first experience. Your music has been heavily influenced by R&B. How did you get into it and who would you say are your major influences? My main influences would be George Strait, he's done R&B but he's mainly country. I grew up in Texas so he's been my favourite artist since day one; T-Pain and Usher, they are definitely some of the pioneers for my music career, as far as inspiration goes. I've always loved R&B and I'm in the pop world. It's a straightforward, no-brainer type of rhythm but I like R&B because it's got soul, you know? Country has a lot of soul in it too so that's where I think I got it from. And growing up in Texas, where the country music scene is huge, how did that music influence your career? I love playing the guitar – that's very country. I'll take any chance to do a small acoustic set; it'll never go wrong. Will your upcoming album be a continuation from your previous projects or will it fall under a whole new theme? It'll definitely be some sort of continuation. I'm still in the same lane but I'm grabbing different genres and taking them into that lane – the pop world – so my next project is going to have a lot of R&B, disco, house and funk influences. All up-tempo. All high-energy. I really can't wait for the world to hear it. It's known that the lead single 'Why Don't We' was written by Charlie Puth. How did that come about and how was it like working with him? Working with Charlie is awesome. He's my guy. I've been working with him for a couple of years now, even before this song came about. This is the first one that we've put out. He's super talented. Every time I get into a room with him, he's making another smash and we definitely got a massive one this time. The accompanying music video is a visual spectacle. You get to show off your dance moves. The video perfectly explains the whole vibe of the song – it's got a swing-type of feel to it. I'm dancing in most of the video and that's what I want people to do when they hear my single: Dance and feel the groove and just rock. I showed them what I want them to show me. My hopes for this year are to continue to put out good music and for people to love it and to gain millions of new fans; to continue of travel the world, do more in the fashion industry and get a few photoshoots in.